It looks like the price completed a bullish wave . Most likely, the correction will continue during the next several weeks. On the minor wave level, the instrument is expected to continue falling down and forming wave (1). 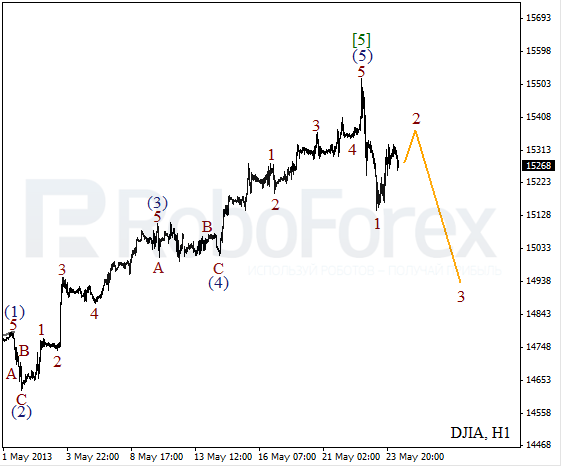 As we can see at the H1 chart, the price completed an initial impulse inside wave 1. A local correction may finish during the day. Later the instrument is expected to start a new descending movement inside wave 3. We may assume that Oil completed flat pattern inside wave 2. Earlier the instrument finished an initial impulse in wave 1 (with truncation in the fifth wave). 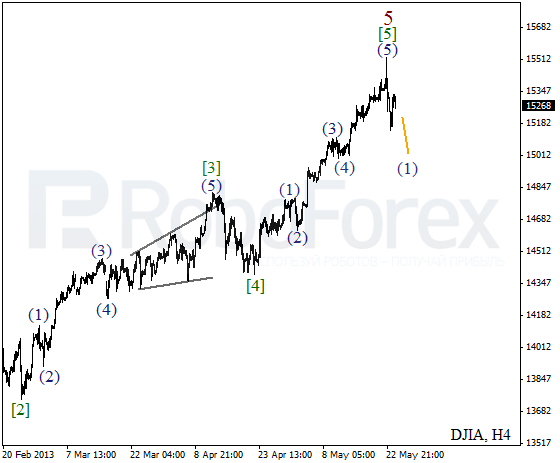 There is a possibility that the price may continue growing up inside wave  during the next several days. 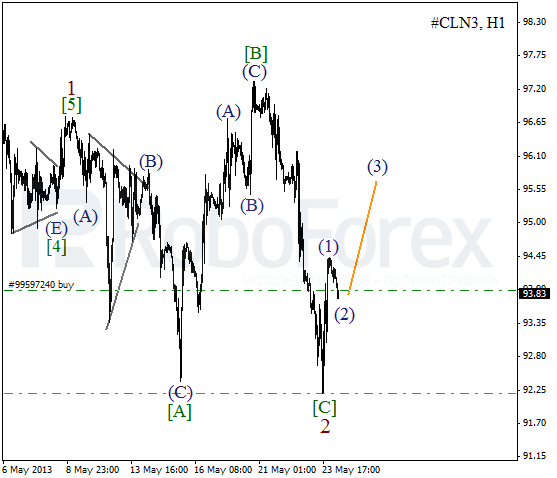 At the H1 chart, after finishing wave [C] of 2, the price completed a short initial ascending impulse. 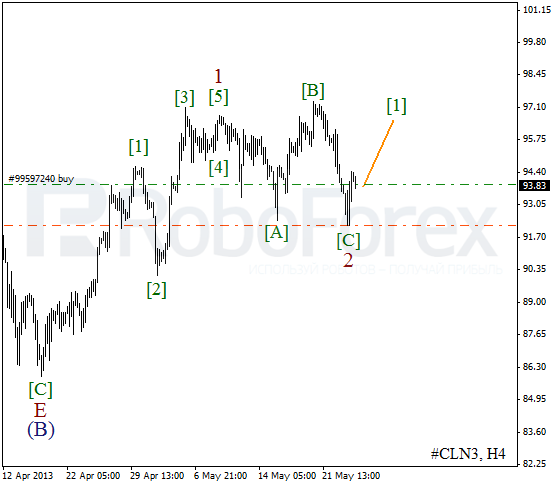 Right now, the market is being corrected, but may start a new ascending movement inside wave (3) quite soon. During a pullback, I opened a buy order; I’ll move the stop into the black as soon as possible.